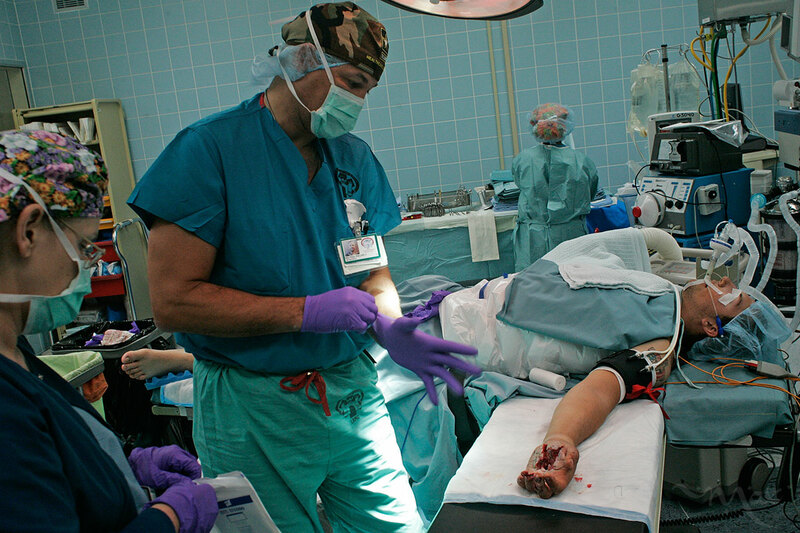 01182013_Becherer_IraqMedical023: Doctors of War: Casualties of War: Global News Portfolio: New Orleans based Photojournalist covering the Deep South and beyond. Doctor Major Paul Phillips and the medical staff of Landstuhl Regional Medical Center prepare to clean and evaluate Marine Lance Corporal Matthew Schilling with the 3rd Battalion, 25th Marine Regiment after he arrived from Iraq with an amputated right leg and a shrapnel-damaged left hand. The 162-bed Landstuhl Regional Medical Center is the largest American hospital outside of the United States.